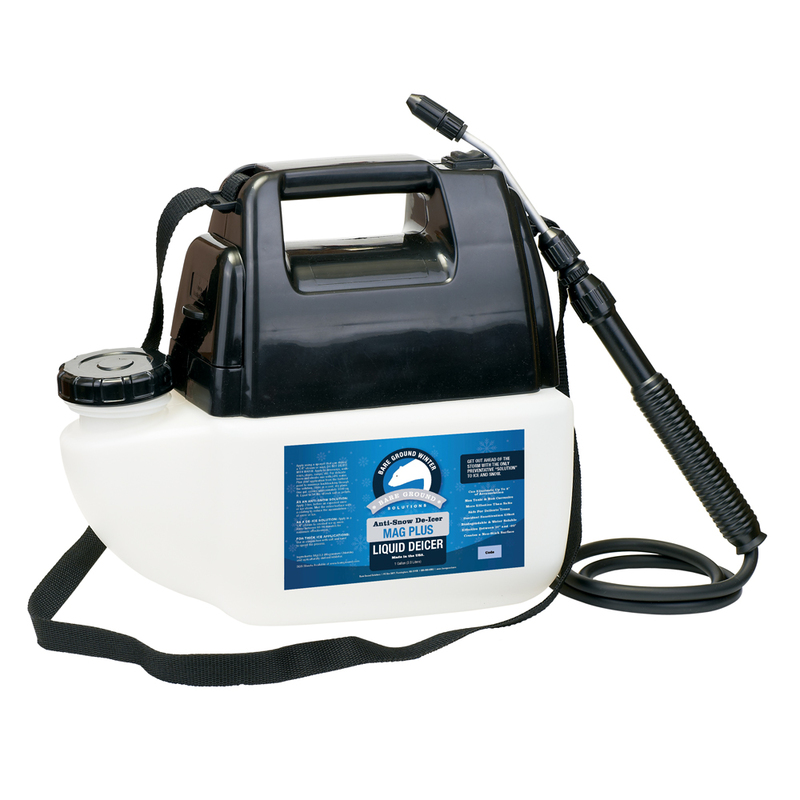 Adjustable nozzle tip can spray in a solid stream for spot de-icing or a fine mist for pre-treating larger surfaces. Extendable telescopic wand collapses and stores in side holder. Easily apply any liquid with our easy-to-use, battery powered sprayer. To use this all-purpose, all-season sprayer applicator, simply flip the rubberized rocker switch to the on position and go! No pumping, no pulling — just quick and efficient spraying. The sprayer has an extendable telescoping wand, which stores in a side holder. 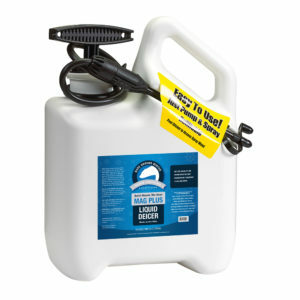 It’s great for our liquid ice melt in winter, and for garden liquids such as our Trident’s Pride fish-based fertilizer or our Garlic Scentry pest deterrent in the spring and summer.